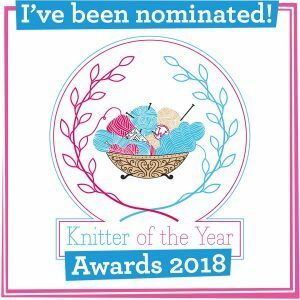 Put the kettle on and join us as Donna Smith pops over to the blog to tell us all about starting a yarn business and her yarn Langsoond. 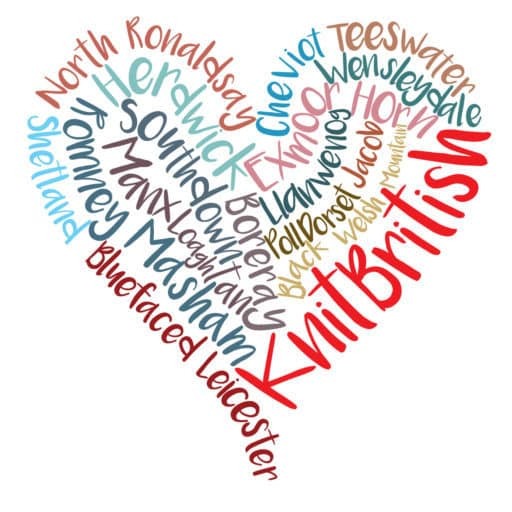 Louise: Thanks so much for coming over to KnitBritish and congratulations on your new wool business! Donna: Thank you and thank you for having me! 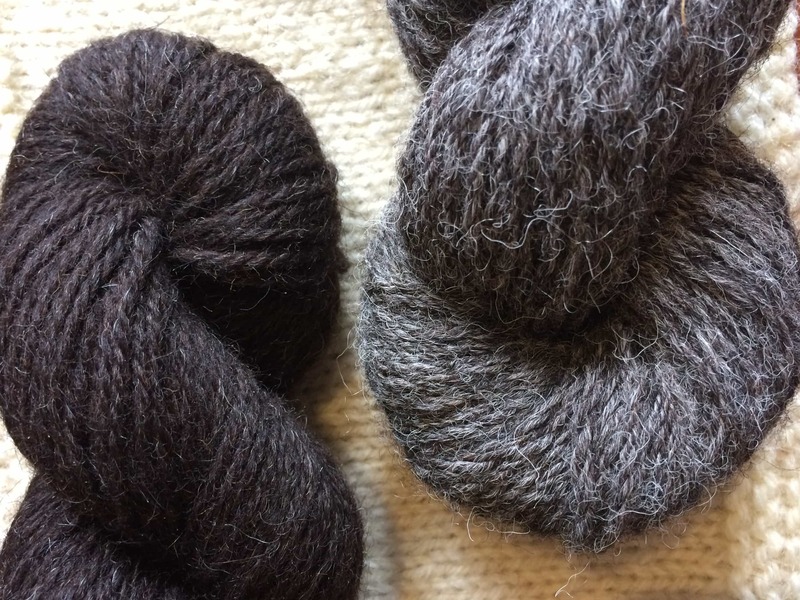 Lots of us will know you from your design work and that you have been the Shetland Wool Week Patron and may have taken one of your classes, but tell us a little more about your croft and the sheep. The croft is the family croft run by my Dad. It belonged to my Grandparents, my Dad built a house on it which I grew up in, and when I married we built our house on the croft too. There has always been sheep on the croft, they used to all be first cross sheep – i.e. Shetland crossed with Cheviot. These sheep were bigger than Shetland sheep and they were bred with a Suffolk ram. This produced large lambs which got more money at market than the small Shetland lambs but the downside to this is they can be difficult to lamb and more than often needed help. My Mam was the person who did the lambing (an ex nurse with small hands! ), but when she became ill we brought in a Shetland ram and started phasing in Shetland sheep to the flock. Shetland sheep when bred with a Shetland ram are generally easier to lamb as they need much less help as the lambs are smaller. Now the flock are all Shetland sheep and many of them are coloured. What was the driving force behind making your own wool and what was the process like for you? The first time I thought about it I was actually in New York at Vogue Knitting Live helping to promote Shetland Wool Week. Amanda from the sheep farm Prado de lana was at a stand near us, she gets the fleeces spun from her own sheep and after talking to her and the other ladies from Shetland Wool Week (we were actually crossing the road on Broadway when I first spoke about it! ), I thought it would be a really interesting thing to try. It took me a while to actually do it, it’s such a big outlay and I wanted to be absolutely sure it would work. I bought Shetland fleeces from a couple of my neighbours and they sat in the shed while I did research into mills and thought about logos and labelling etc. For me, even though I grew up around sheep and I ended up being a knitter, there was a whole new dimension and education to wool when I started to handspin and look at fleece in a different way. Looking at all those fleeces with view to have your own wool spun must have been utterly eye-opening. Has it been an adventure? It has been a complete learning curve and I totally understand where you are coming from when you say about looking at fleece in a different way. 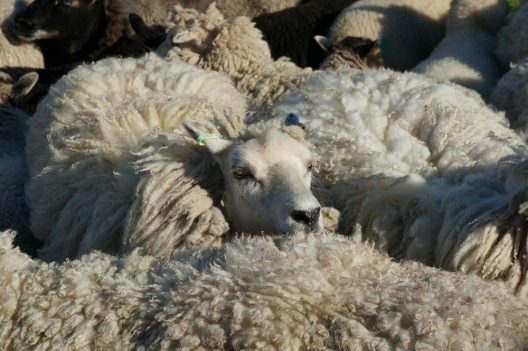 I too have grown up surrounded by sheep and yarn and knitters but have never really known much about fleece and the process of yarn production. I go over every fleece (with help from my Dad), removing any dirt, vegetation, matted areas etc. and then sort them into colour. Every fleece is different and it was fascinating this year being involved in the clipping, often you could relate the condition of the sheep (how old it was, whether or not it had lost its teeth, whether or not it had had a lamb that year) to the condition of the fleece. Also learning more about the spinning side of things has been fascinating and a learning process too. For me Shetland wool is like an endowment, it will be made into items that have incredible longevity. Whenever I hear folk relegate it to crisp or harsh, I want to show them all the well-loved and worn Shetland knitwear in the museum, that still looks incredible a hundred years later, and also let them feel how soft it can actually be. It is a wool that runs deep in a lot of Shetlander’s veins. 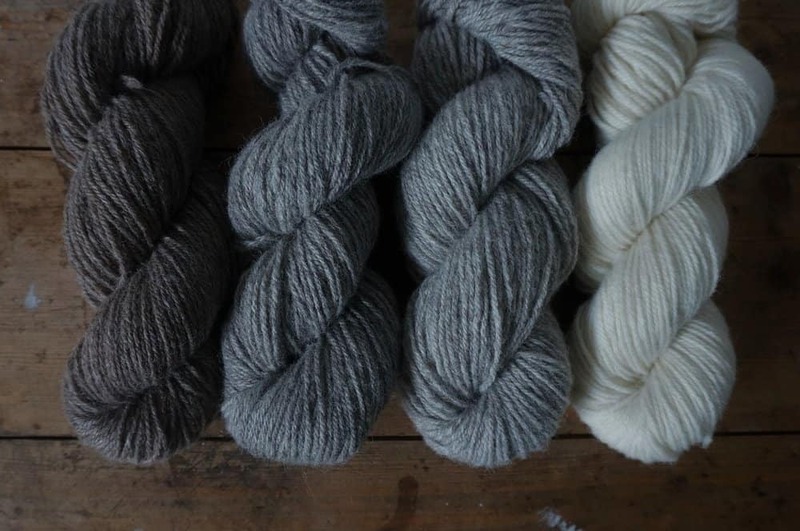 …I feel we may be a bit biased here, but what do you love about Shetland wool? Yes we might! I love its warmth and its softness despite it being quite robust. You’re right that a piece of Shetland knitwear can still look incredible 100 years on. A jumper that looking a bit tired can be washed, dressed and repaired and look as good as new. Of course Shetland yarn is perfect for knitting Fair Isle and it is available to buy in Shetland in a huge range of colours. It’s a yarn that we have always worn and knitted with, I find while its really good to knit with other types of fibres, I always like getting back to using Shetland. It’s a bit like a pair of comfy smucks! Can you tell us about the patterns you’ve designed in Langsoond? 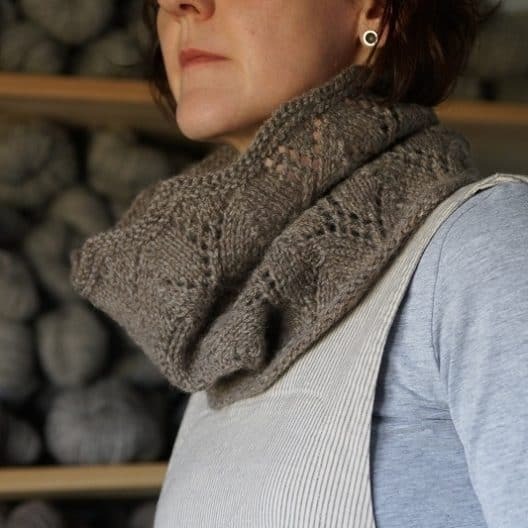 I designed three patterns that were released at the same time Langsoond Yarn went on sale. The first one was Maijie’s Cowl, and uses one skein on yarn. I think it’s important to have a pattern for something that can be knitted in just one skein, I know a lot of people just want to buy one (I know from experience!) and it can end up lying around as you don’t know what to do with it (again, I know from experience)! The cowl uses the travelling leaf pattern and is named after Maijie’s Crub – the stone enclosure on the croft where we separate the ewes and lambs when they have just given birth from the other sheep. 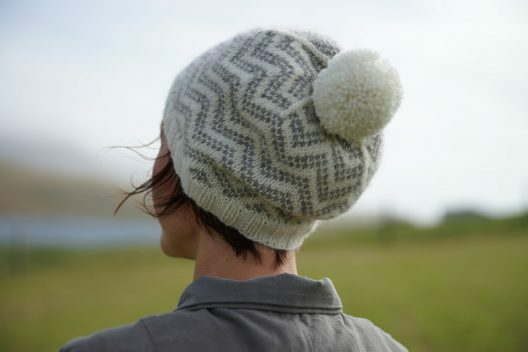 The Straemsoond hat features colourwork in a zigzag pattern and an optional pompom- a cosy hat to keep out those winter winds! It is named after a strip of water that we can see from the croft that runs into Langsound. 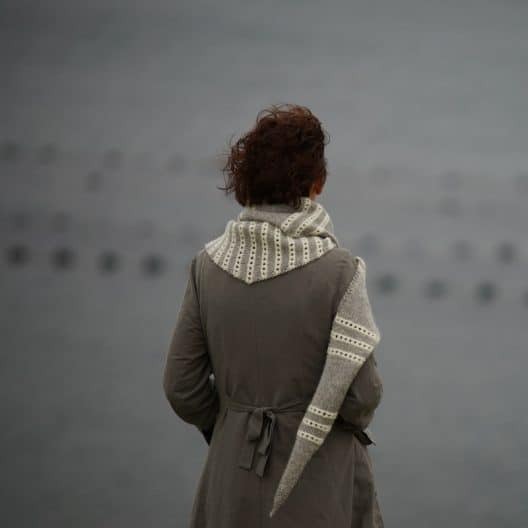 I wanted to design something that was inspired by mussel farms that are a common feature around Shetland’s coastline, after a chat with my friend Sara and a bit of thought while driving one day the Mytilus wrap (Mytilus being the genus name for the edible mussel) which uses two shades of Langsoond yarn was developed. I bet it was satisfying designing with the wool and seeing the sheep on your doorstep! What is that feeling like? It is very satisfying. I was so excited seeing it for the first time, when I went to pick it up from the shipping depot I took a pair of scissors with me and got the bags open straight away. It’s a really good feeling to be able to use something from the croft in this way, I have a lifelong ambition to be self sufficient (think The Good Life! ), I am not managing well so far but this is a step closer! 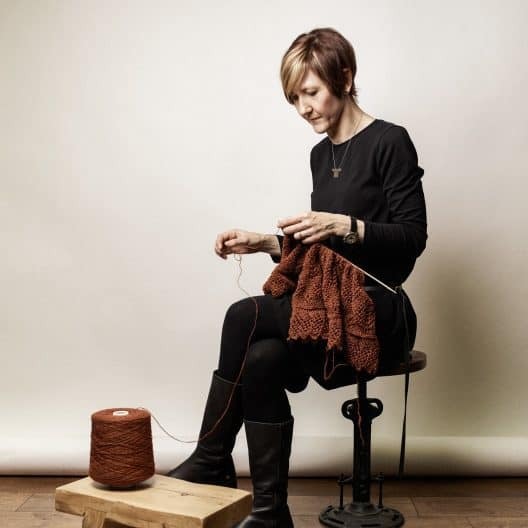 How did it feel launching your wool at Shetland Wool Week and what was it like to see knitters, yarn-hungry for it at the Maker’s Market? It was a truly amazing experience, seeing people who had been waiting to get hold of it come and buy it, so Thank You if you did. It was a bit chaotic at the beginning though and there wasn’t much room for all the people – Hazel Tindall said it was the first time she had ever seen me hot and bothered!! What is in the future for Langsoond? Are you already making plans for the next clip? I have been extremely bowled over with the reaction to Langsoond and the response and at the time of writing this I am almost ready to send the next batch away for processing, it takes quite a long time to sort it and bag it up, but the next lot of skeins should be ready in the spring. Thanks so much to Donna for taking time to come over and chat. I will be casting on the Mytilus wrap this Christmas. 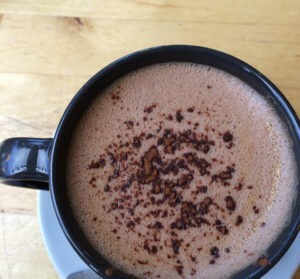 Have you tried Langsoond? You can find the last skeins of the first spin over at Donna’s website. Watch out for my swatch review coming out next week on the blog. | Important Information: All images are copyright to Donna Smith. Lovely article and so interesting. I’d also love to know what pattern Donna is knitting in the yarn from the cone in the first picture. Is it one of her own? Looks amazing. Wonderful article! So fun to see the process that Donna has experienced, as I went through the same. Lovely interview. I’m jumping over to Donna’s site! Next PostEpisode 98 – Charles Dickens has a lot to answer for!